Location: West side of Bloxwich Road on the site of the M6 motorway. Notes: Bentley was situated on the eight-mile double-track Wolverhampton & Walsall Railway (W&W) which was authorised on 29 June 1865. The line took seven years to build, opening on 1 November 1872. It was intended that from the opening of the line it would be worked by the London & North Western Railway (LNWR) and the Midland Railway (MR). Bentley opened with the line on 1 November 1872. 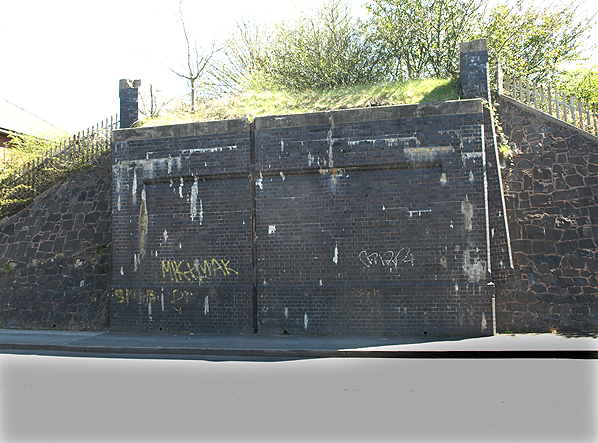 It was located on an embankment on the west side of Bloxwich Road which the line crossed on a bridge. 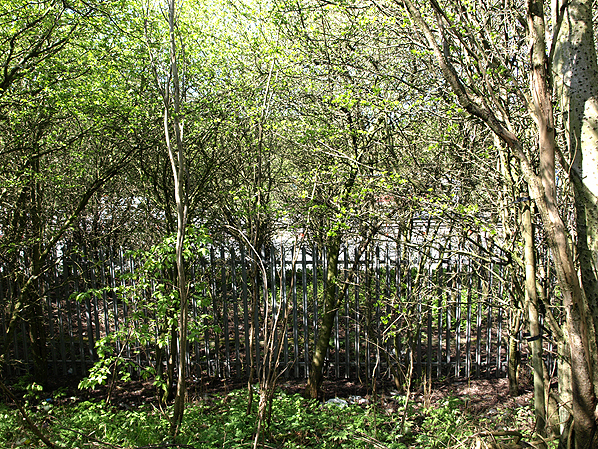 The main facilities were located on the down (Wolverhampton-bound) platform, and they were approached by a driveway that connected to Bloxwich Road. A waiting shelter was located on the up (Walsall direction) platform. The station had a goods siding with loading ramp located on the south side of the line. At the time of opening Bentley would have been served by trains running between Wolverhampton High Level station and Walsall, both of which were under the ownership of the LNWR. In 1875 the LNWR bought the W&W but a year later sold it to the MR. The MR was interested in the W&W because it had taken over the Wolverhampton, Walsall & Midland Junction Railway (WW&MJR) in 1874. The WW&MJR had, with MR support, been authorised on 6 August 1872 to build a line from Castle Bromwich/Water Orton (on the MR main line between Birmingham and Derby) to Walsall that also made an end-on connection with the W&W line. The Castle Bromwich line opened on 1 July 1879 giving the MR direct access to Wolverhampton. From this date Bentley was served by trains running between Birmingham New Street and Wolverhampton High Level via Walsall (where reversal was necessary). The December 1895 timetable showed Bentley as having only one train in each direction Monday-to-Saturday and no trains on Sundays. Bentley station was in an isolated position and proved to be unremunerative, so the MR closed it to all traffic on 1 October 1898. Passenger trains continued to through the station site until 5 January 1931. The former W&W line closed as a through route on 28 September 1964. It was broken at the site of Bentley station and lifted for a short distance in each direction. The M6 Motorway was then constructed through the site of the station. Timetable from Chris Totty and route map by Alan Young. Looking west towards the site of Bentley station on 30 April 2013. The station was just beyond the bushes at a higher elevation. On the other side of the bushes lies the M6 motorway in a cutting. Its construction in 1965 obliterated the site of Bentley station. Bentley station shown on a 1885 map. can be seen through the bushes. 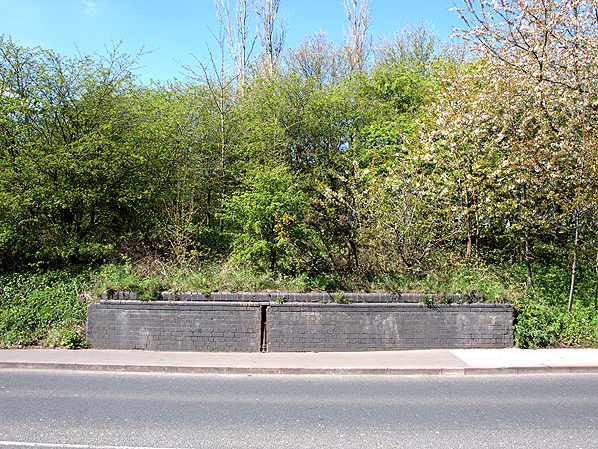 Looking east away from the side of Bentley station on 30 April 2013 at the Bloxwich Lane bridge abutment. The former Wolverhampton and Walsall line was broken at this point in 1965 to facilitate the building of the M6 motorway. 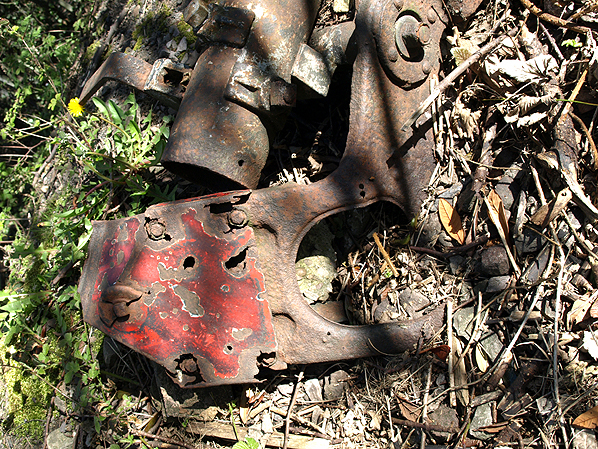 A section of home signal arm seen on the trackbed to the east of Bentley station on 30 April 2013.